I recently returned from an amazing visit to Vienna. What a stunning city, with architecture that is more art than structure. And the food! After a large schnitzel or other very filling meal, I always left room for a scrumptious – and most decadent – torte or pastry. 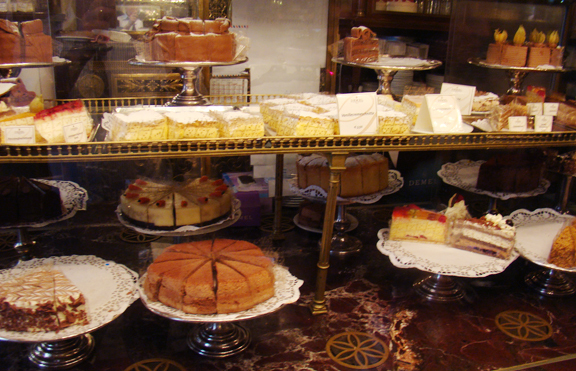 One of the classic cafes I strolled into is The Demel Café, located at Kohlmarkt 14, in the heart of Vienna. 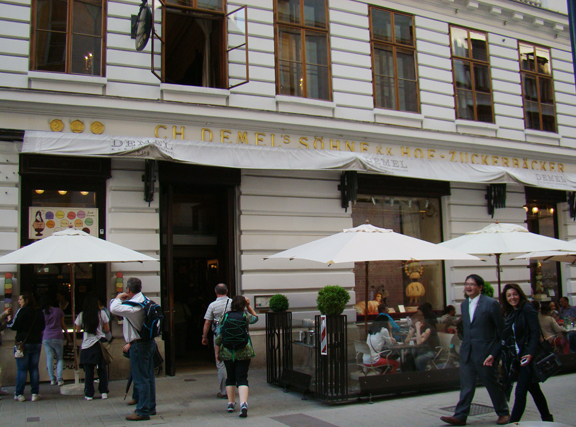 The Demel’s origins go back to 1786 when confectionary assistant Ludwig Dehne from Wuerttemberg first settled in Vienna. And it’s been delicious ever since! 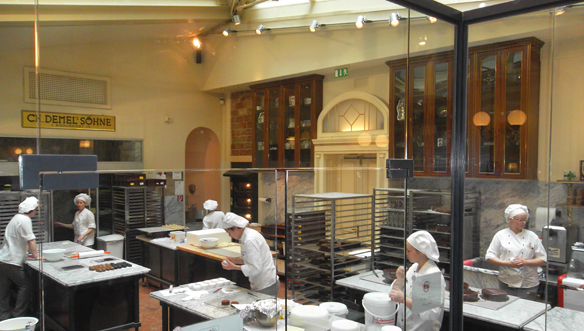 On several floors the confectioners produce the typical Demel classics as they have been doing for over 200 years. Cakes, tea scones, strudels and other homemade confectionary, all made by hand on the premises tempted my taste buds…and challenged my diet! And don’t forget to see the bakery, where, behind large glass windows on the ground floor, you can look over the shoulders of the master bakers as they display their craftsmanship. It’s hard not to salivate as you watch apple strudels drawn and laid out, and my favourite… Sacher tortes assembled and decorated! The café is often packed, but be patient and try to get a seat at the front café bar. Well worth the wait. 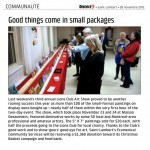 And it’s not just the sights that will delight; the smell of chocolate and other sweets is almost intoxicating. I am truly addicted and cannot wait to go back for another “fix”.